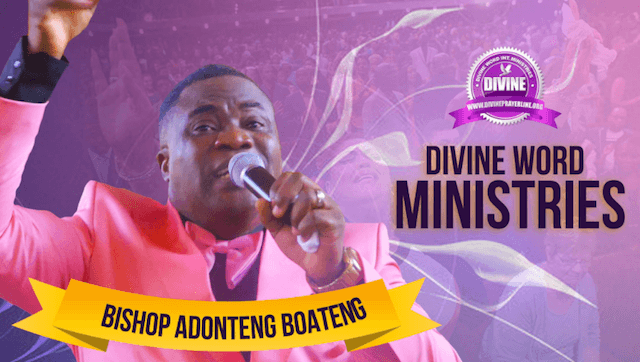 Bishop Kofi Adonteng Boateng of Divine Word International Ministry (DWIM) has disclosed that plans are on schedule for the first ‘Faithful Servants Awards’ to be held October 27, 2018, at 7 pm in Alexandria, Virginia (VA). 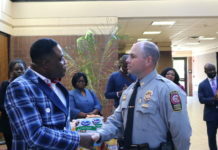 The Bishop who spoke at a press conference at the DWIM branch in Woodbridge, VA, revealed that ‘Faithful Servants Awards‘ which is being organized by the faith-based community of Northern Virginia in collaboration with the respective police forces of the area, is a long overdue attempt to recognize the great work of the police in the community. Some of the awards that will be given out include: ‘Officer of the Year’ award for Fairfax County Police, ‘Deputy of the Year‘ award for Fairfax County Sheriff, and ‘Trooper of the Year‘ award for Virginia State Police among many others. “This is going to also be a great way in which the community and the police force can come together through an initiative led by the faith-based community to not only get to know and understand each other better, but to kill the false myth that misinforms people that the police are out to get them,” Bishop Boateng said. “Our agenda, as embedded in our theme, is to foster an environment within which cops and the community can come together to work towards the overall safety and development of society, irrespective of religious differences. In the process, we want all parties involved to not lose sight of the importance to appreciate each other,” the Bishop explained. Individuals and corporate entities interested in supporting the upcoming awards event were encouraged to get in touch with the church to explore sponsorship and collaborative opportunities by emailing the church with jadontengboateng@gmail.com. It was also announced at the presser that a week before the ‘Faithful Servants Awards‘ the church will hold a 21-day fasting and prayer session under the theme ‘It is not too late‘ scheduled from 1st to 21st October online via the ‘Divine Prayer Line‘ Facebook page which will see members of the church join worldwide on phone number +16415529785. On September 10, 2018, the Bishop became an international Police Chaplain in the United States having completed studies at CELA University International Police Chaplain Ministry in Miami, Florida. As a result, his passion for community-police relationship development is very strong and this event will be one of many he intends to put together to foster that relationship. The DWIM leader and founder ordained Bishop in the US in 2012 is originally from Ghana. Follow the church on Facebook by visiting Facebook.com/DivinePrayerLine.